While on the last few days of the Daniel Fast I was craving familiar meals. Nothing is more familiar and delicious to me other than a hearty warm bowl of curry. 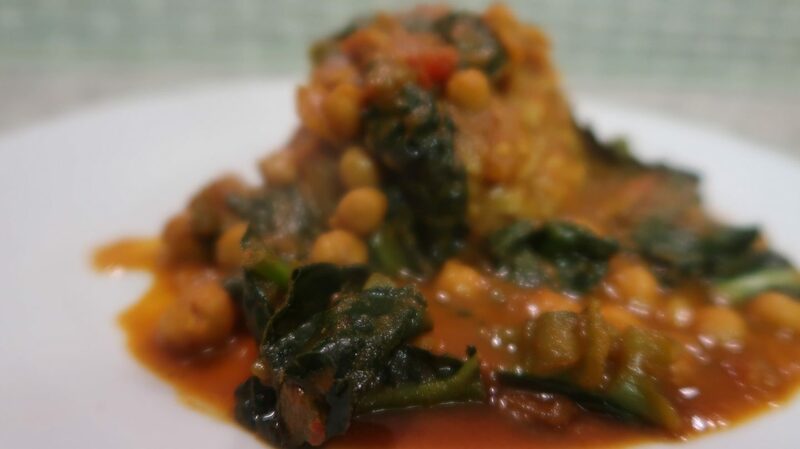 I prefer my curry with chicken of course but this dish was vegan. To be honest I am not the biggest fan of chickpeas. I know it’s a very important ingredient in a lot of vegan dishes but it’s just not my favorite bean. 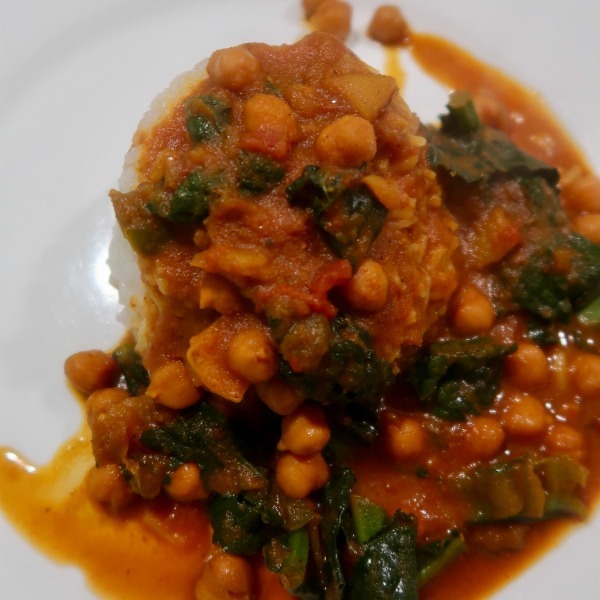 In the spirit of trying something new and keeping true to the recipe I went ahead and used chickpeas instead of replacing it with another bean. Feel free to sub out the chickpeas if they just aren’t your thing either. 1.Preheat the Instant Pot by selecting Sauté. 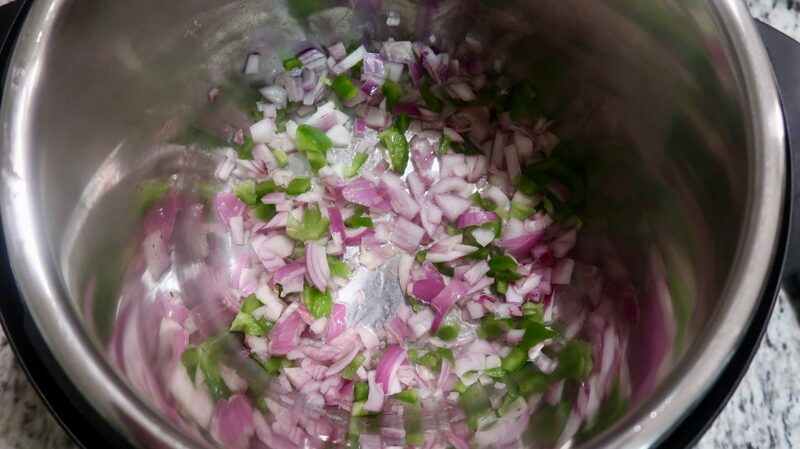 Once hot, add the oil and onion, bell pepper and shallot and stir. 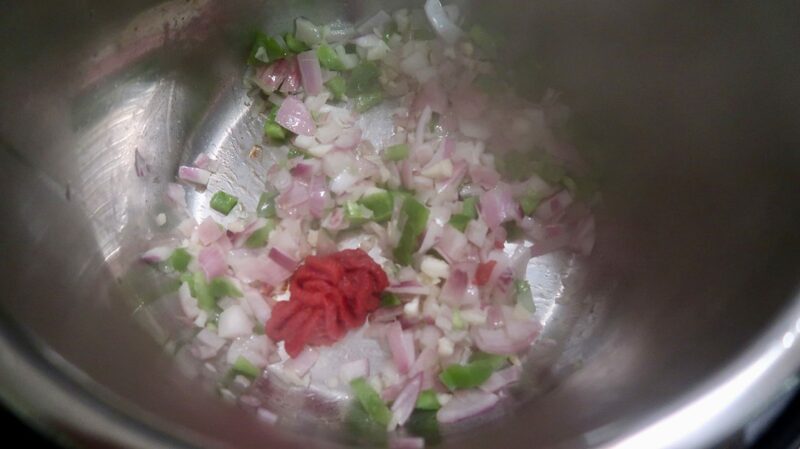 2.Cook for a few minutes until the onion is translucent and starting to brown. Add the garlic and cook for 2 minutes more. 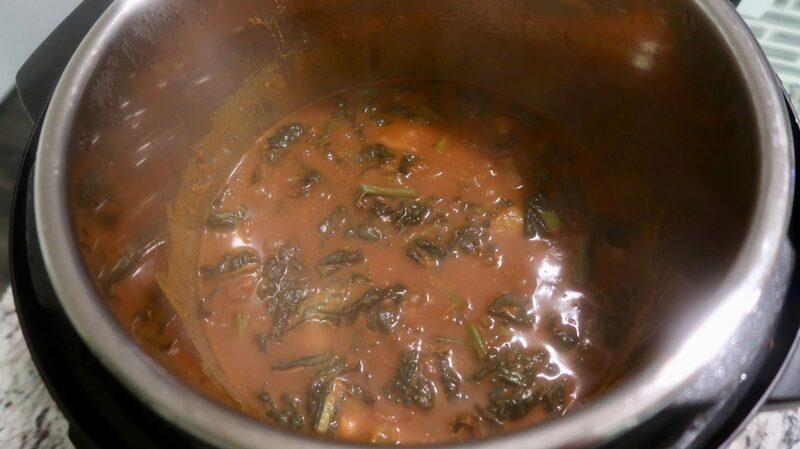 3.Add all spices and stir for about 30 seconds before adding the tomato paste. 4.Next, deglaze the pan with the vegetable broth and scrape the seasoning off the bottom of the ban into the broth. 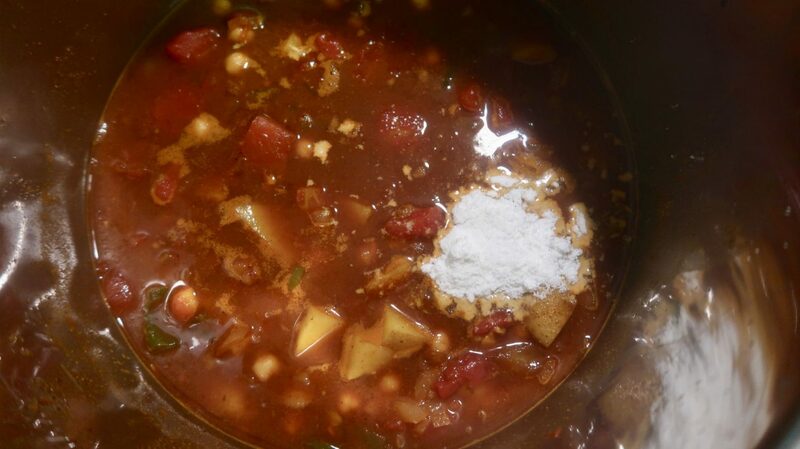 5.Add the chickpeas, tomatoes, potatoes and coconut powder and stir. 6.Secure the lid. Select Manual and cook at high pressure for 12 minutes. Once cooking is complete, use quick release. 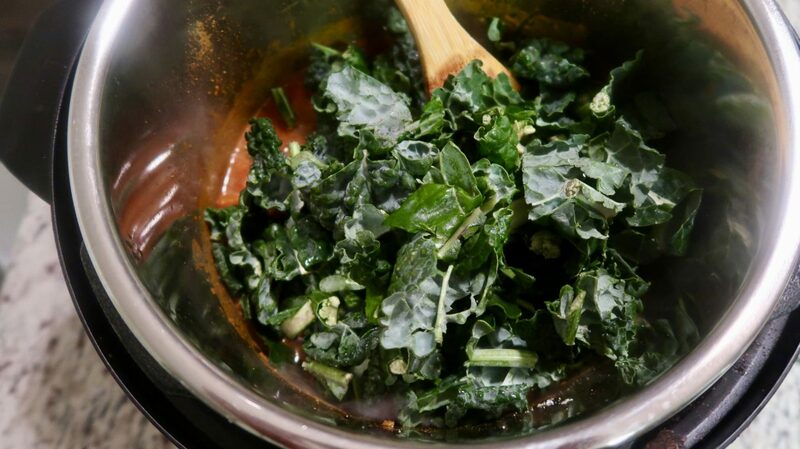 7.Add Kale and set on manual and cook at high pressure for 3-5 minutes depending on how soft you want your kale. 8. Quick release, stir and taste, adding more salt as needed. 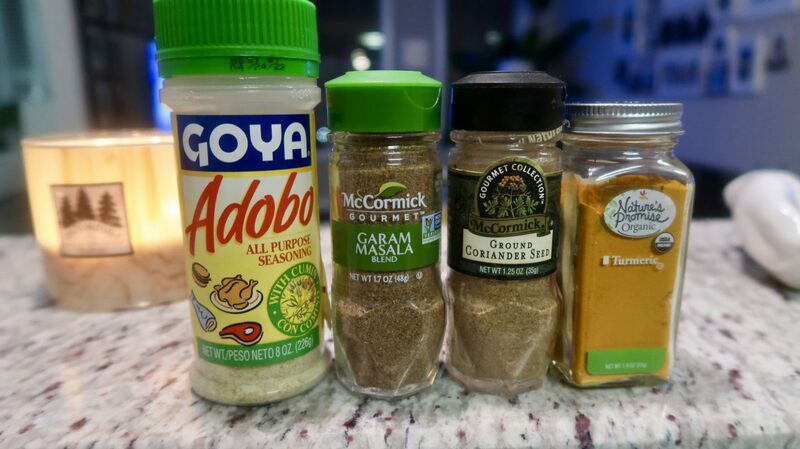 Serve over jasmine rice with a liberal amount of curry. Enjoy! 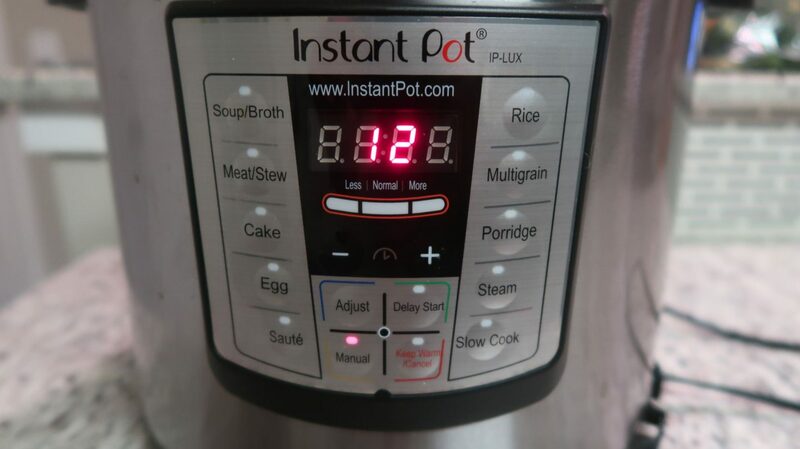 Check out my other instant pot recipe here.